Today was even more incredible than yesterday. (The camaraderie between those of us in Class #4 is developing as we learn more about one-another, and the time is flying by.) The training is in all respects a dream-made-reality, and it certainly doesn’t disappoint. 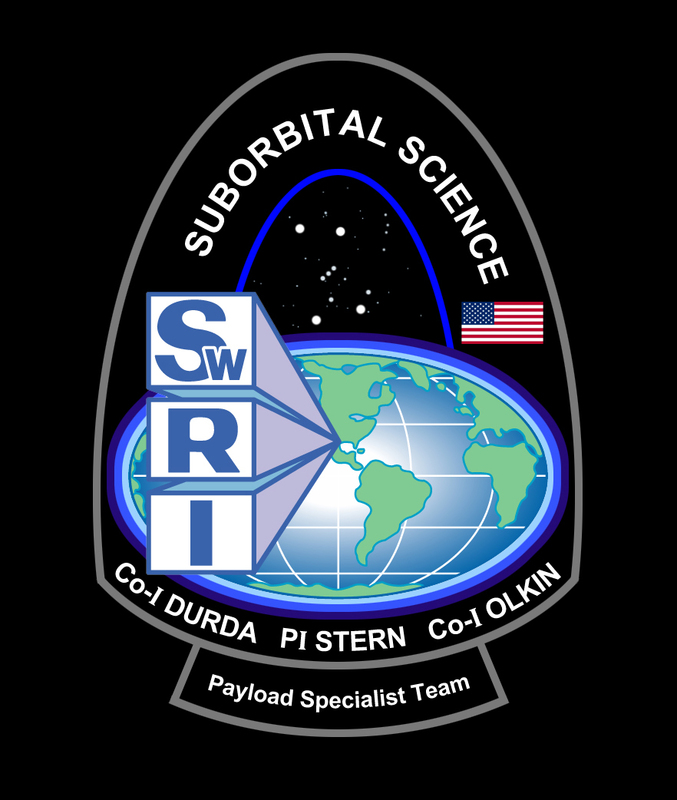 So, alternating coursework and practical training during day two of the NASTAR Center’s Suborbital Scientist Training Program quickly sent us into one of the world’s most advanced machines. This device, in turn, carried us quite literally right up to our bodies’ physical limits … and we were grinning all the way. 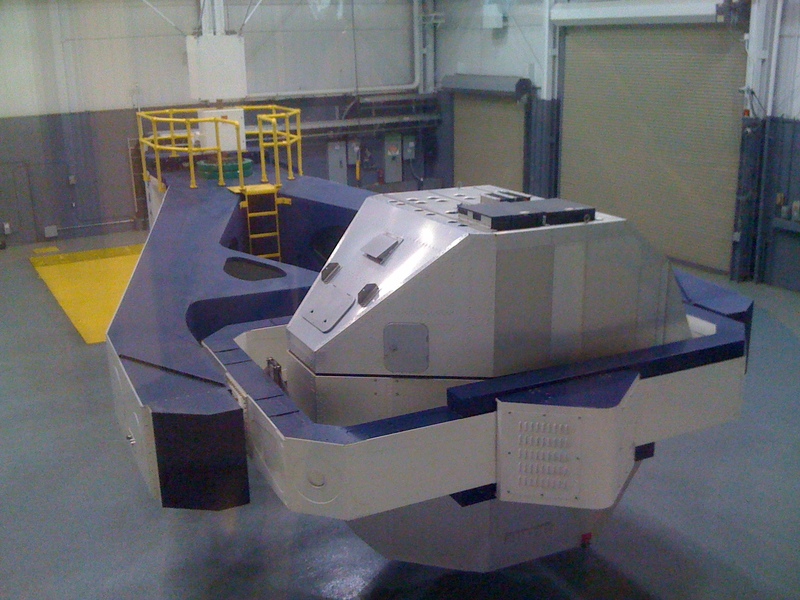 The NASTAR Center STS-400 "Phoenix" centrifuge. It’s objective? -To provide the most realistic, intense, and accurate simulation of extreme, dynamic gravity that a person can experience while still sitting in a simulator. 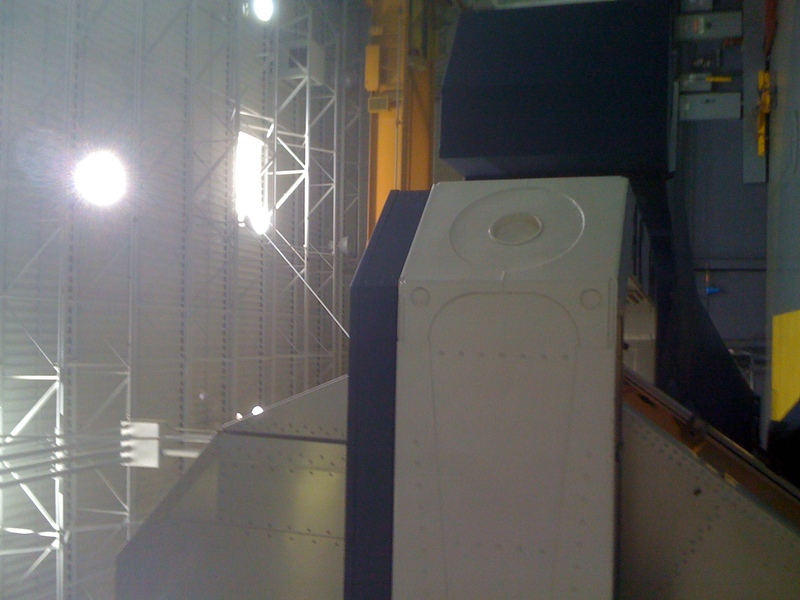 A view from inside the centrifuge bay. As a person who has a distinct appreciation for large, finely-tuned mechanics, upon entering the centrifuge bay I was immediately reminded of the precision required of the motors and rigid arms supporting a mountaintop observatory. The weight support and manipulation ability of those machines is truly inspiring. However, whereas I would have described a giant telescope as having a placid, confident, almost Zen-master quality to it, the Phoenix seemed eager, hungry, and almost a bit restless, like it wanted to move. Our training here was broken up into two fundamental parts as we learned to experience (and the techniques to manage) g-forces along two planes with respect to our bodies: down our spines and straight into our backs. Both of these sorts of accelerations come into play during spacecraft operations; we were taught to recognize them in kind so that we would know what to do during a normal profile when both types of g-forces are mixed together. The Phoenix - really starting to move. We were each individually walked down from the observation area and out into the bay, where we were given a briefing on the centrifuge interior, components, displays, and communication systems. 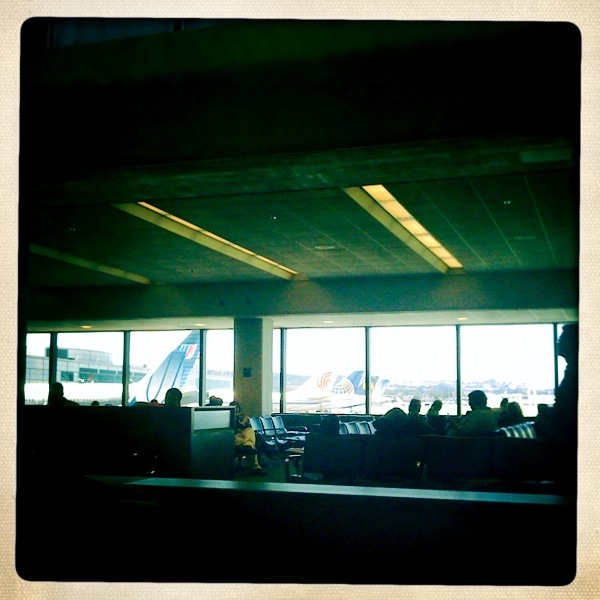 Our seats were adjusted to suit us, and then we strapped in. 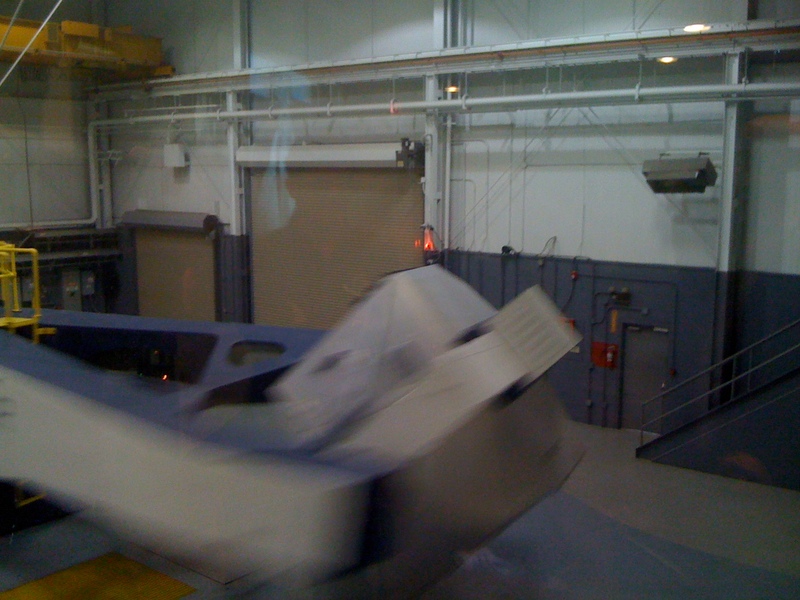 Once inside the centrifuge, it’s hard to not let your adrenaline get the better of you. -And man, when that thing starts to move, it really means business. The requisite "smashed face" shot. The feeling of the g-forces is hard to describe unless you’ve done something like it before. It feels like a completely even set of weights is distributed not uncomfortably across the surface of your entire body. However, since there was nothing physically (mechanically) on top of you, the experience wasn’t at all like being smothered. It just felt, to me at any rate, exactly like what it was – moving extremely quickly. So, once inside, we experienced different strengths of force in different directions, working our techniques up to support us at the maximum intensity we would be feeling during tomorrow’s “full” flight, which we were told is based exactly on the flight profile of the SpaceShipOne as it went to space and back. 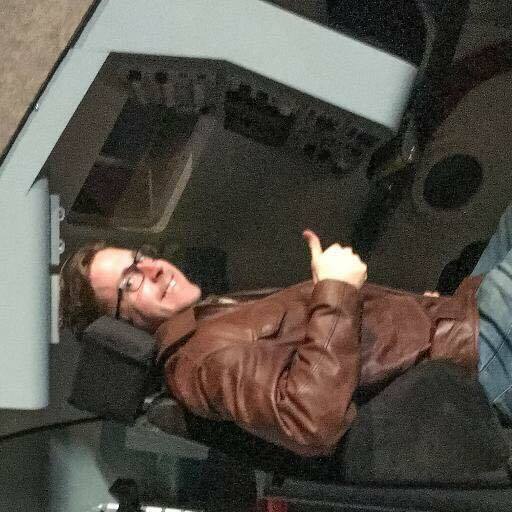 Well, it’s 2:00 p.m. local time in San Francisco International Airport, and reality is starting to set in: After what amounts to 15 years of anticipation, I’m headed out to engage in FAA-certified civilian scientist-astronaut training at the NASTAR Center (reviewed in my previous post here)! After a grueling morning – I was awakened well before I’d been intending with what can only be described as heinous bout of food poisoning – I managed to blearily finish packing and head out to the Las Vegas airport (with more than a little assistance from my outstanding wife). It hasn’t been the most enjoyable way to travel so far, mind you, but I wasn’t about to let anything derail this outing. In any event, with the first leg of the trip in the rear-view mirror and with the help of an electrolyte-stuffed commercial fitness drink, my wits are returning to me… and the thrill is rising. Now, using logic only a delirious flight controller may be able to understand, I had to travel west to San Francisco in order to backtrack and head over to Pennsylvania. (I suspect it has something to do with the availability of long-range flights, but still…). However, despite the irrationality of the route, this waystation seems strangely fitting. Looking around, I realized that SFO has a permanent association in my mind with the annual American Geophysical Union Fall Meeting, which is always held in San Francisco and was the site of my first research presentations on englacial hydrodynamics. In essence, my decision to engage in professional field science all started here. It’s only right that I tip my hat on the way by. 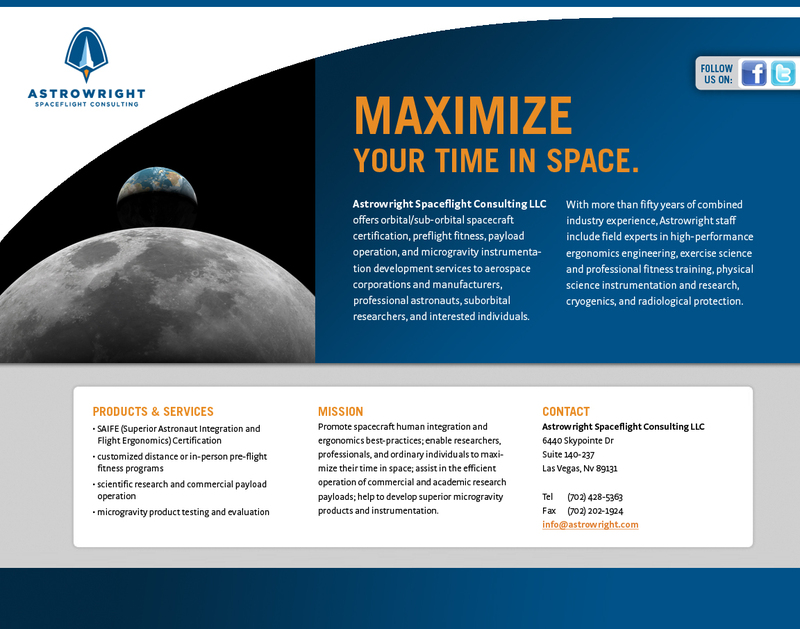 Check it out for up-to-date news and the latest information on Astrowright’s services, including pre-flight fitness consulting, in-flight dosimetry and dose analyses, spacecraft habitability assessments, microgravity product/instrumentation testing and development, and charter payload specialists. Oh, and more to come on the Japanese reactor situation soon. 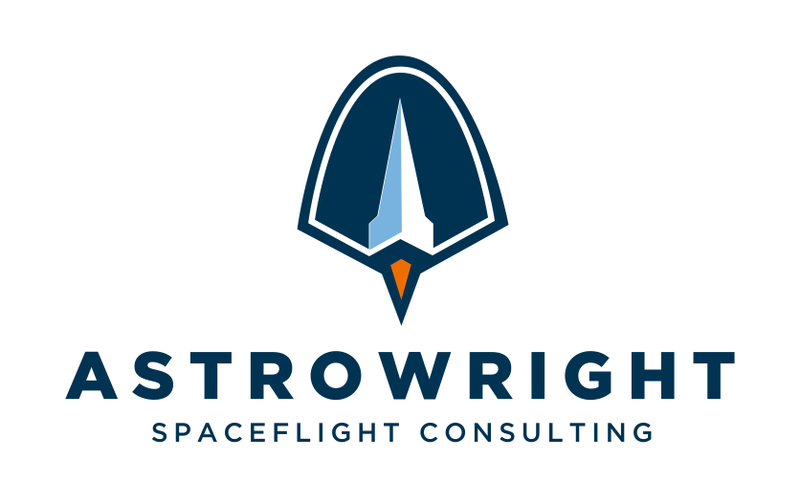 This has been nearly impossible for me to keep under my hat for so long, but after nearly a year of preliminary work, I am thrilled to announce that Astrowright Spaceflight Consulting LLC is open for business (www.astrowright.com). So, what is the venture specifically? 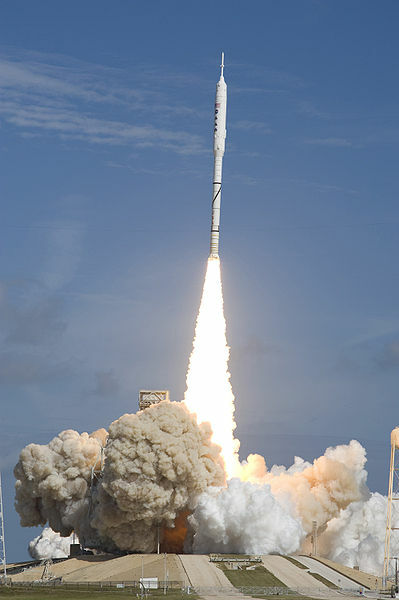 The firm offers a suite of spaceflight-related services, including orbital and sub-orbital spacecraft habitability assessments, ergonomics and human integration certification, preflight fitness and radiation dosimetry programs for those planning or scheduled to fly, spacecraft research payload operation, and microgravity instrumentation development. We serve the complete range of spaceflight interests, from aerospace corporations and spacecraft manufacturers to academic institutions, professional astronauts, suborbital researchers, spaceflight participants, and interested individuals. The high-energy, industry-centered team I’ve assembled includes experts in extreme-performance ergonomics engineering (military aircraft and formula-1 racing), exercise science and professional fitness training (for all levels of health, age, and commitment), as well as experts in physical science instrumentation and research, cryogenics, and radiological protection. Perhaps most importantly, we all come from an industry/corporate environment, so we understand and can speak the language of budget and timeline, cost scheduling, and we know how to accomplish tasks on time and under budget. For more information, visit visit www.astrowright.com, and to keep up-to-date on Astrowright offerings and events, please follow us on Facebook (Astrowright Facebook page) and Twitter (Astrowright Twitter feed). No matter your interest in spaceflight, we can help you maximize your time in space. Contact us to help you meet your spaceflight goals.